Introducing Technology that Actually Works! 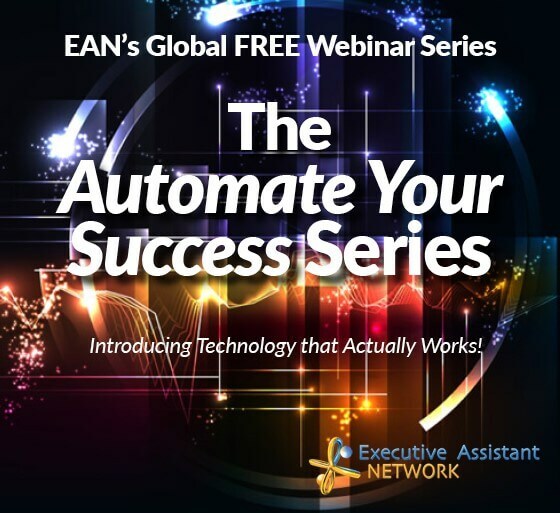 Wouldn’t it be great to automate your success by having access to technology that actually works. Would knowing what technology to use and more importantly how to use it help you manage the office of your executive? This series is all about helping you achieve exactly that, for you, your executive and your collective team. A hit at many of our conferences, Craig is an internationally acclaimed futurist listened to by major corporations and governments across the planet. Craig has over 20 years’ experience working in the very places that the present we all know today was imagined and then created. His experience in some of the most innovative companies in the world ranged from IT to consumer electronics, the internet and broadcasting industries. His role is to help you look amazing, save you time, and increase your personal productivity massively. Plus these new technologies are so lovely to use - they will put a smile on your face!